School and Education Department of Andhra Pradesh has Released notification for admission into two years Diploma in Elementary Education (D.EL.Ed) / TTC, Candidates Who Waiting for Teacher Training Course those Candidates ready for preparation. APSED has invited online application from interested & E legible Candidates for intend to take admission into two years Diploma in Elementary Education (D.EL.Ed) in Government District Institutes of Education & Training (DIETs) and Private Elementary Teacher Training Institutions in the state to be conducted by Department of School education on 15 May 2016. Candidate should be Submit their application through online on or before last date 20 April 2016. DIETCET/DEECET ( Andhra Pradesh Diploma Elementary Education Common Entrance Test ) will be conducted on 15-05-2016 in all 13 Districts of the state of Andhra pradesh ( Anantapur, Krishna, Srikakulam, Chittoor, Kurnool, Visakhapatnam, East Godavari , Potti SriRamulu Nellore, Vizianagaram, Guntur , Prakasam, West Godavari, YSR District, Kadapa Districts ) , Candidate can choose any District of his/her choice for examination center.The test will be conducted through online in 3 spells. Educational Qualifications: The Candidate should be passed or appeared for the Intermediate (10+2 ) during 2015-16 final Examinations (Qualifying Examination) or its equivalent are eligible to appear for the entrance test . The candidate should have secured 50 percent of marks in aggregate in qualifying examination for appearing in the DEECET both A & B category seats. SC,ST and Physically Challenged candidates shall however be 45 percent for both A &B category seats. Candidate should be of Indian Nationality. The candidate should satisfy Local / Non-Local Status requirement as laid down in the A.P. Educational Institutions (Regulation of admission) Order 1974 as subsequently amended. Candidate should have obtained a rank in DEECET-2016 and should satisfy the eligibility criteria prescribed. Age Limit: The candidates should have completed 17 years as on 01-09-2016 . There is no upper age limit. 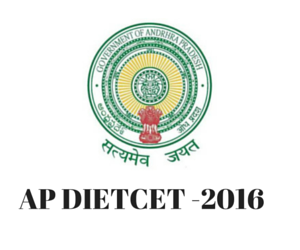 How to apply AP DEECET/DIETCET -2016 online ? Procedure for Fee and submission of Application Online for Apply AP Dietcet -2016. Interested and Eligible candidate Who decided to apply Dietcet-2016,Candidates can pay the fee through payment Gateway between 07-04- 2016 to 20-04-2016 . On receipt of fee through gateway the candidate shall be issued a ‘Journal Number’ with which she/he can proceed with submission of application online. After payment of fee at any APOnline Centre/Payment Gateway . Submit their online application through DEECET -2016 official website http://deecetap.cgg.gov.in/. For any problems in Online submission and download of hall-tickets call Ph: :040-23120331,23120332. If you have any Questions, inquires, about this article, please share your comments through via Comment box. This test will consist of 3 sessions on May 15 2016.
sir, i paid my application fees through debit card. i forget to notedown JOurnal number. now what i have to do ?